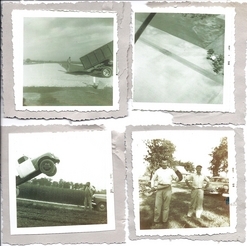 I guess you could say that it all started in the Summer of 1955 when a Piper Cub circled a field between the Missouri River's Howard Bend and Creve Coeur Lake. 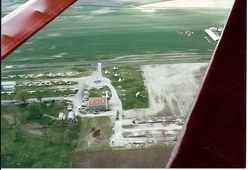 The pilot noticed two people waving from a farm field below so he decided to take a chance and land on what appeared to be a nice flat piece of ground. 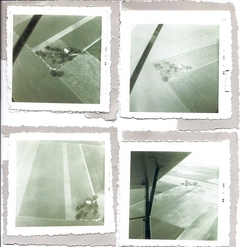 Not only was the ground nice and smooth but the pilot, Daniel Coats Jr wound up taking both Norman "Ducks" Dauster and his son Donald for a ride that afternoon. 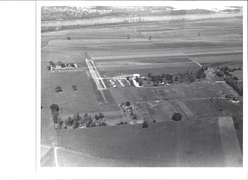 Not long after that fateful day, Mr. Coats talked Dux into turning part of the farm into a flying club. 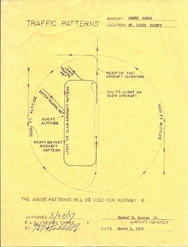 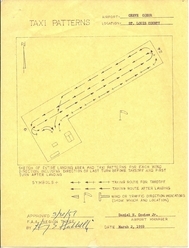 Pretty soon a young engineer, Mr. Newton Gleason, drew up the plans for a "regular airport" to the FAA specifications of the day and by 1959, Creve Coeur Airport was no longer a club but an approved general aviation airport. 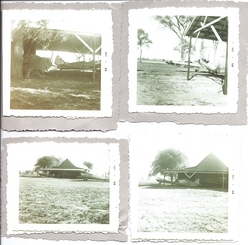 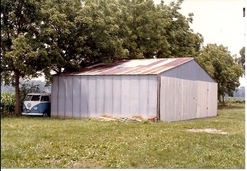 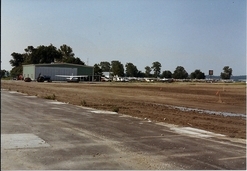 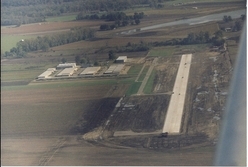 By the mid-1960s, Les and Shirley Neuroth had taken over the lease on the airport. 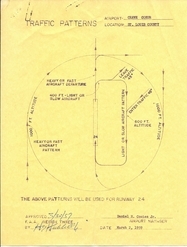 Under the banner of their company, Archway Aviation, they offered both fixed wing and rotor wing instruction for the better part of the next twenty years. 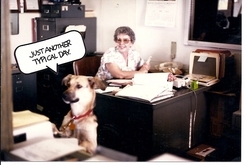 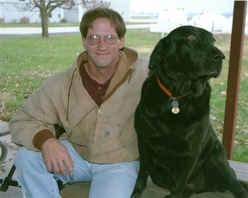 Les ran the flight school while Shirley ran the office and the day to day operations. 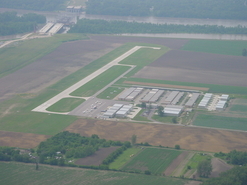 They formed a team that allowed Creve Coeur Airport so survive the ever dwindling world of general aviation airports. 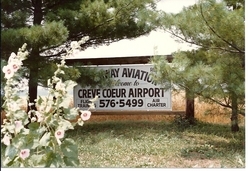 The list of airports that vanished in our area would surely have included Creve Coeur if not for the constant attention that Les and Shirley gave to the place. 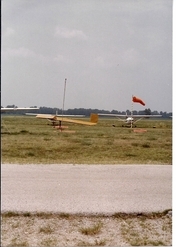 Even after the current owners took over in 1984, Les and Shirley stayed on to run the flight school. 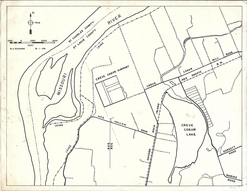 By 1983, it was clear to Al Stix Sr and John Mullen that the airport they called home, Arrowhead Airport, was not likely to survive much longer and having no luck in trying to purchase Arrowhead, they elected to call on their friend based at Creve Coeur, John Cournoyer. 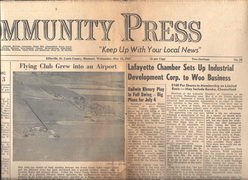 Although the exact details of the first meeting where the three discussed an attempt to purchase Creve Coeur will forever remain murky, they concluded that meeting with a plan for acquiring the airport. 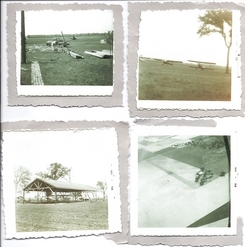 There was no time to waste. 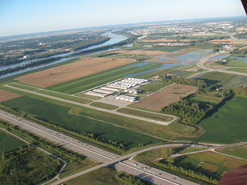 Creve Coeur Airport already had a suitor and the that group was planning on turning Creve Coeur Airport into a golf course. 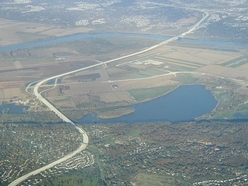 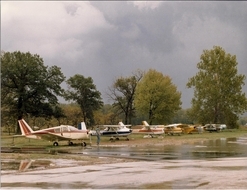 In the end, John Cournoyer convinced Ducks Dauster that the world already had plenty of golf courses but was running low on general aviation airports. 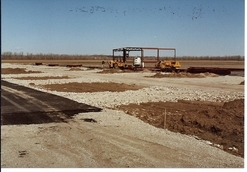 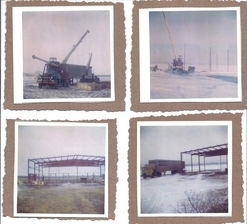 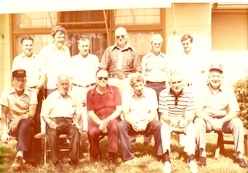 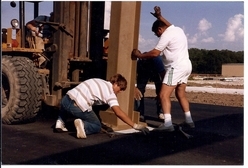 A deal was put together very quickly and by the end of 1983, Creve Coeur Airport Improvement Corporation was born. 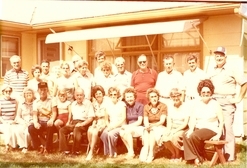 The corporation's name was an accurate one because that's exactly what the new owners did when the took over in 1984. 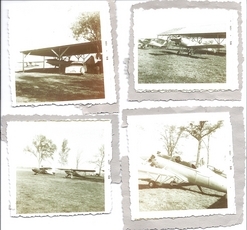 With the help of many of the "old timers" from Creve Coeur plus the help from the Arrowhead refugees, Creve Coeur Airport started on the journey that would lead to what you see today. 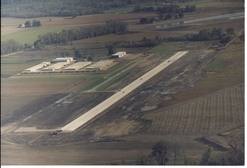 With over 100 hangars, 330+ based aircraft, a 4,500' x 75' concrete runway, and countless other upgrades and improvements, its easy to forget that only twenty five years ago, there were only two or three hangars and maybe 45 aircraft on the field. 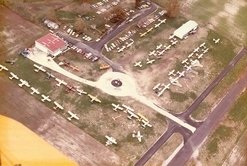 Do you have any interesting photos that show Creve Coeur Airport in the old days? 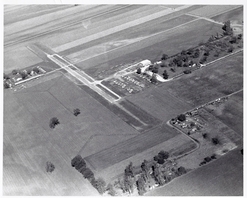 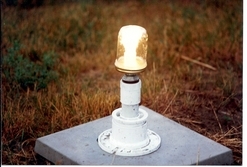 We are always looking for historical images of the airport to post on this website. 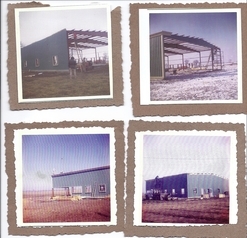 Please contact us at info@crevecoeurairport.com if you have images that you would like to see on this page.